We will develop a special care plan for your roses throughout the garden year. In early Spring we prune roses heavily to build a solid plant structure that will produce an abundance of flowers. Spring fertilization and soil modification with high fungal compost are keys to success with these heavy feeders. As an option, we can apply compost tea to build up a population of beneficial microbes in the soil, protecting the roses from attacks of harmful pests and diseases. During the hot summer, we pay attention to sanitation, cleanup, deadheading and a specific watering plan designed to lessen the outbreak of rose-specific diseases. As winter draws on, we provide winter protection for marginally hardy varieties such as hybrid tea and David Austin roses. We’ll remove this layer of protection in April. 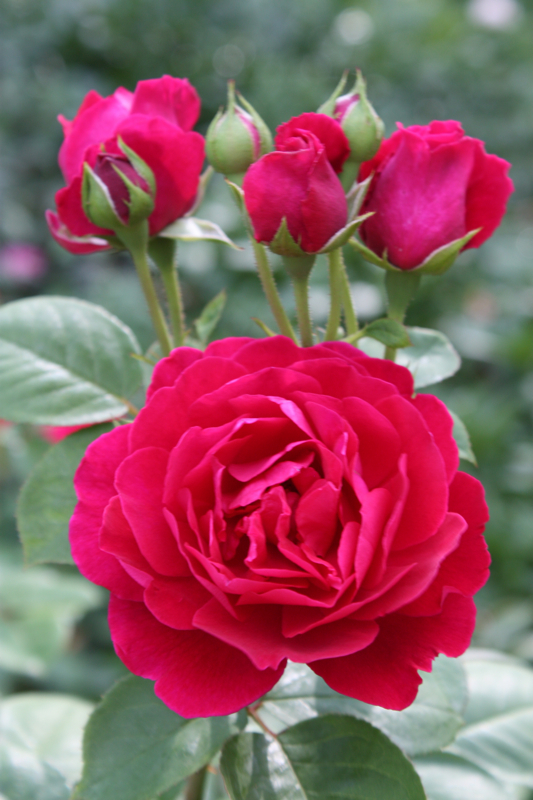 We are happy to advise you on the selection of disease-resistant rose varieties.